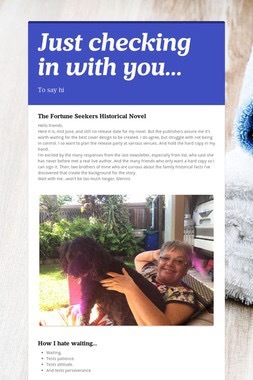 Welcome to my author web page where newsletters, photos, reviews and interesting information is shared about my journey as a Historical Fiction novelist. I endeavour to bring regular updates, newsletters, offers, and promotions to you, my special readers and followers. I enjoy hearing from readers, and reply within a couple of days if not earlier. I would love to hear from you. I have various active Facebook pages that may interest you. The two photos above show the first cover of The Fortune Seekers (right) and the revised cover (left). The revised edition has been revised, and shortened. (From 600 pages down to 200). Both copies provide a smooth beginning for the second book of the Fortune Seekers Series (to be published 2018). Here I promote and share on a weekly basis about writing and promotion stages. 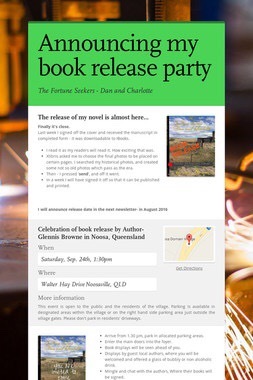 Plus release celebrations, book signings of new books, and personal invitations. Here a large number of world wide authors post their novels, specials and news. Here helpful information is shared between all. I invite you to join my newsletter-family, where each month a chatty and colourful letter will arrive in your email box. I promise not to spam you. You may ask to be removed from this list at any time. If you would like to be a special part of my launch team, send me a message in the envelope below. I will add you to my newsletter friends. You can unsubscribe at any time. Each month a newsletter will arrive in my followers email boxes. 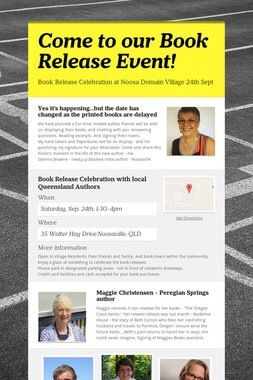 Promoting up coming events, new novel progress, (as the second of the series is underway). If you would like to receive my newsletter, then send me an email – entitled – “Receive Newsletter please”. With your Christian name, and return email address. Please Like my page so I will become more visible to other book lovers.